This is a guest post by Nicolai Bangsgaard of www.worldtravellers.dk. I pedalled 62.000 km through 53 countries, and – admittedly – I have a habit of falling in love with most of the countries that I spent a reasonable amount of time in. Despite of this, one country really sticks out: Australia. Even now, 3 years after I left that country, headed for New Zealand, not a week goes by without me remembering the fantastic 6 months I spent there. The coastline from Melbourne to Sydney is – in my eyes – one of the most scenic I’ve ever seen. It really took my by surprise. The relative lack of tourism in the southeastern corner of the country also added to the over-all attractiveness. The roads do occasionally have some insane – but always short – killer ascents, but the sea/bay views generally more than compensate. To me, generally speaking, the Australian people is a very easy-going, extremely hospitable and loving lot. Instead of meeting the stranger (me!) with hesitation and preconceptions, I was often handed a cold beer (always welcome around here), and with it the invitation to come over for a little chat. That’s a great way to greet your neighbor and I love Aussies for that attitude. Apart from Rio de Janeiro no city in the world compares to Sydney when it comes to natural beauty (see my Top 25 Beautiful Cities in the World). With such a magnificent setting, Sydney will probably always be on my list of places, where I’d love to live one day. Melbourne and Adelaide is also some of my favourite cities in the world, with a great cosmopolitan feeling to them, great nightlife (especially compared to the outback), international food, music scene, atmosphere etc. Nicolai Bangsgaard (b. 1976, in Denmark) is a round-the-world cyclist, anthropologist, writer and self-taught photographer. He lives in Copenhagen, Denmark, and currently earns his living by giving talks/presentations about his 2006-2010 RTW bike ride, while writing his first book and planning future adventures. Next up in the A-Z of Bicycle touring: Top 5 Reasons to go Bicycle Touring in Angola. A guest post by Paul Morris of The Journey Home. 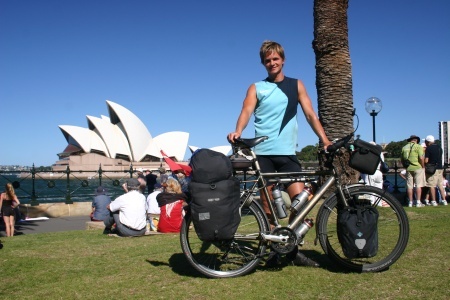 Are you a bicycle touring fanatic? 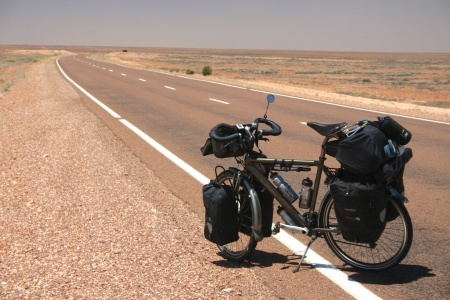 Why not be part of the A-Z of Bicycle Touring project. Learn how to contribute here. Australia…that’s more like it. You won’t catch me anywhere near Albania and certainly not Afghanistan. Great reading and superb photos. Thanks. I have just returned from a round the world backpacking trip. Did 6 months in Australia in a camper and share your views. Beautiful, magical country with such warm and friendly people….. I spent many nights in the outback round a camp fire staring up at the stars for ages. 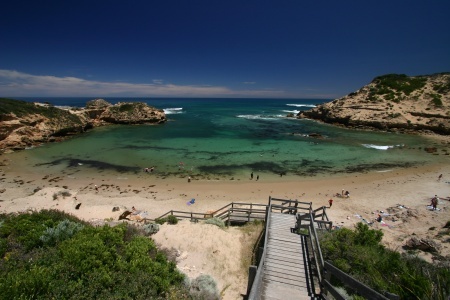 Western Aus was my favourite state, so under-rated. 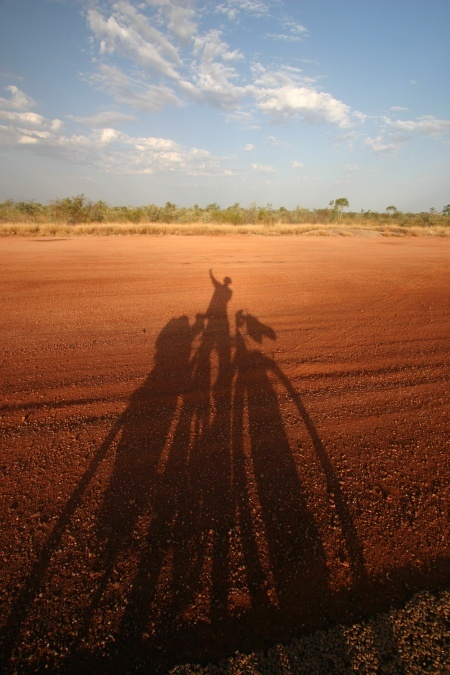 Broome, Exmouth, Coral Bay for civilisation, but some spectacularly remote places out i the red dust too. I share your enthusiasm for Sydney & Adelaide, but also found Perth on par with them and the SW region, Margaret River, Esperance & Denmark were remarkable…… nice wine too ! I also liked NZ South Island too, just as much but for different reasons, mainly being the spectacular countryside. After reading your post I realised that I need to go back soon, next time by bike though ! !